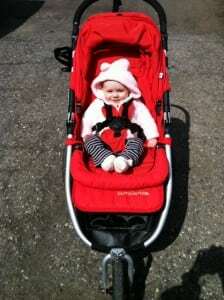 The Indie (available both as a single and a double – AKA “Twin”) is Bumbleride’s jogging stroller. Available in seven different color combinations, the stroller weighs only 20 pounds, which is relatively light compared to other jogging strollers on the market. 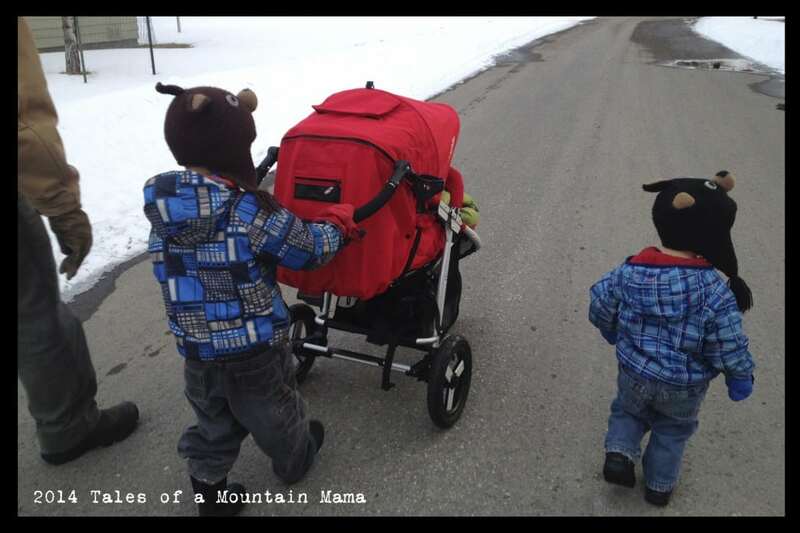 It’s marketed as “the only stroller you’ll ever need” which certainly appeals to us parents that want to save money and cut down on the copious amounts of extra gear that seems to come along with having kids. 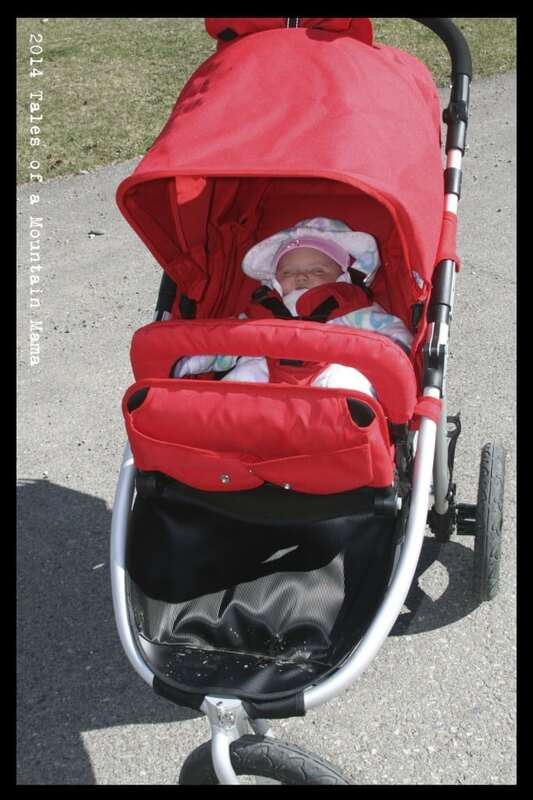 This stroller is NOT made for putting on tons and tons of miles, but rather for smaller runs (maybe 3-5 miles) and everything else. 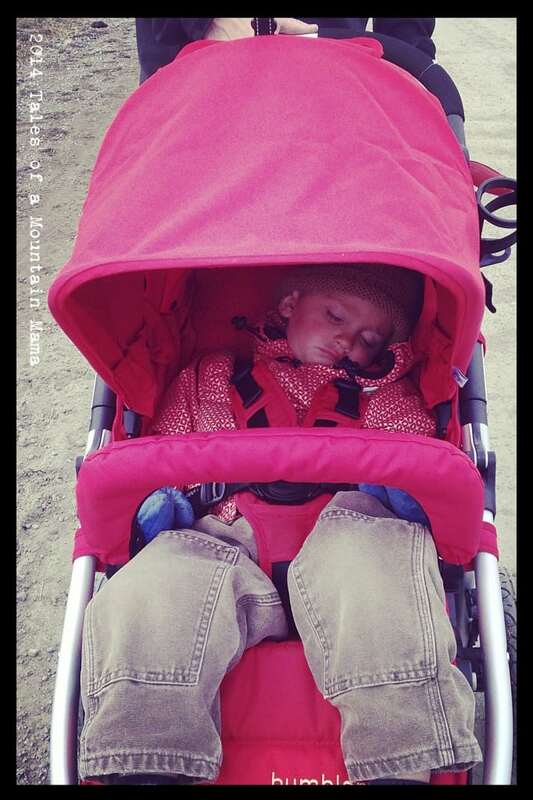 The Indie is unique on the market because it does fit children from birth (using the included car seat adapter) through preschool age (weight limit: 45 pounds) AND adapts to those “in between” infant/toddler ages with a seat that reclines completely flat for easy napping. 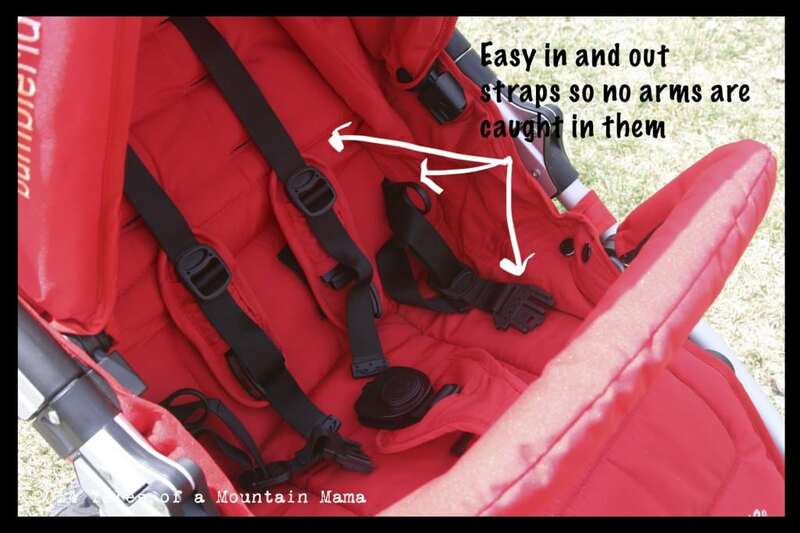 A car seat adapter is also available for purchase for the youngest of riders. – The reclining backrest can be set at almost any height to allow for comfort for any ages of child. It can be reclined to lay completely flat for comfortable sleeping too. 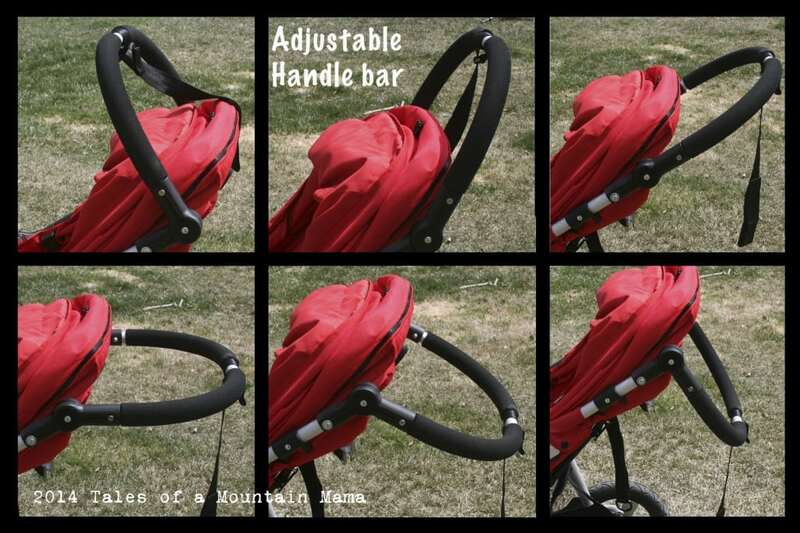 – The adjustable handlebar is AWESOME for switching between different heights of pushers. In fact, it can be lowered far enough down that the 4 year old can reach it to push. – The sun canopy (SPF 45) is more than adequate to keeping sun of the child. It also does a great job of shielding them from rain and snow because it comes down so far. 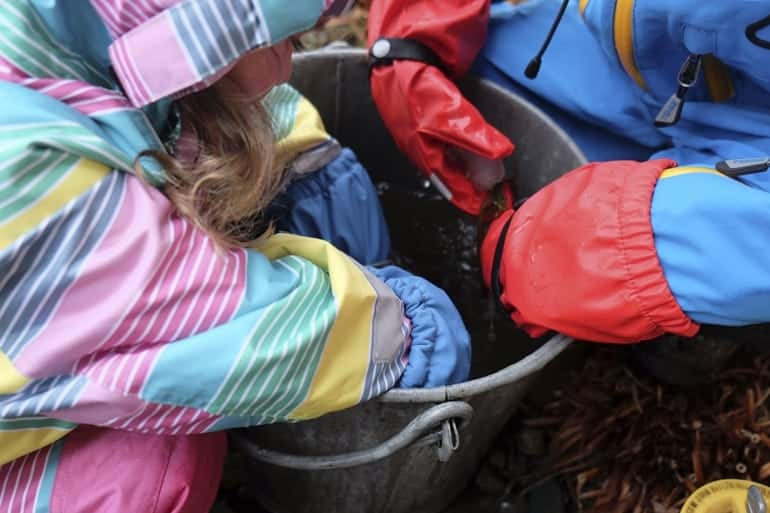 – The 5-point breakaway harness makes getting kids in super easy since they don’t have to thread their arms through any loops. One of my very favorite features. – I find myself wishing for some small pockets at least built into the seat area of the Indie for stashing snacks for the kids. You can buy a Snack Pack add-on, but I would love something built in. – It feels a bit top heavy or needs some larger wheels for a better off-terrain ride. 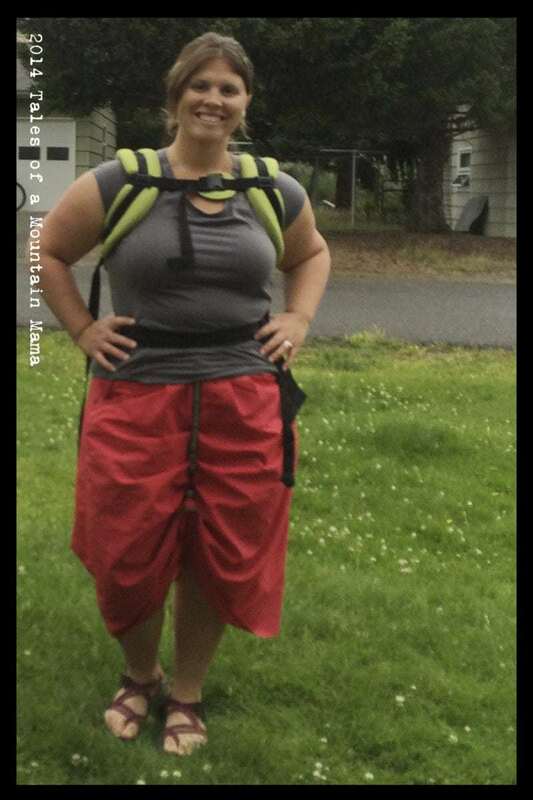 I wonder if it is just because I am used to a heavier jogger? – While the breakaway harness is great, moving the shoulder straps up and down for smaller and bigger riders is a pain. It definitely takes a few minutes to rethread them. – The included cup holder isn’t tall enough for water bottles to keep them contained. My standard size water bottle is too tall for it and it flips out of it if I am not very careful. 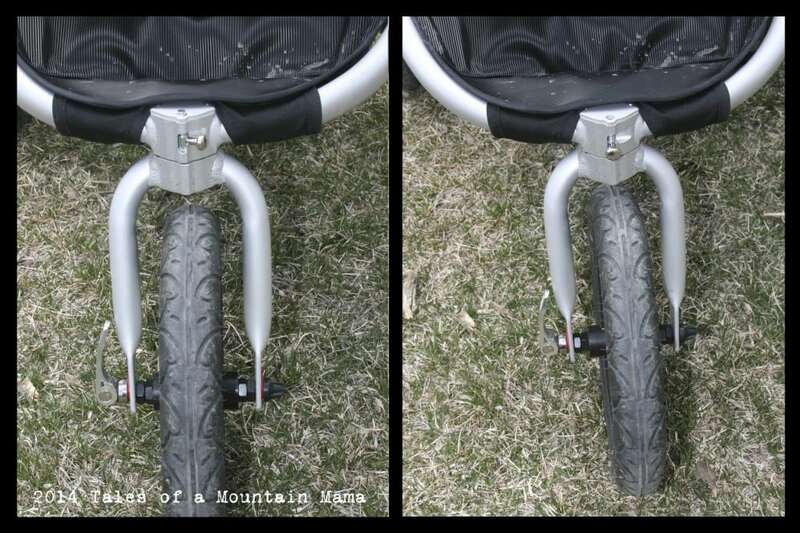 I was very impressed by how adjustable/customizable this stroller was. It was very easy to snap into place, and it had a lot of “bells and whistles” that I loved. It handled well during our 3-mile run which was mostly on pavement, and Alex was still smiling when we finished. 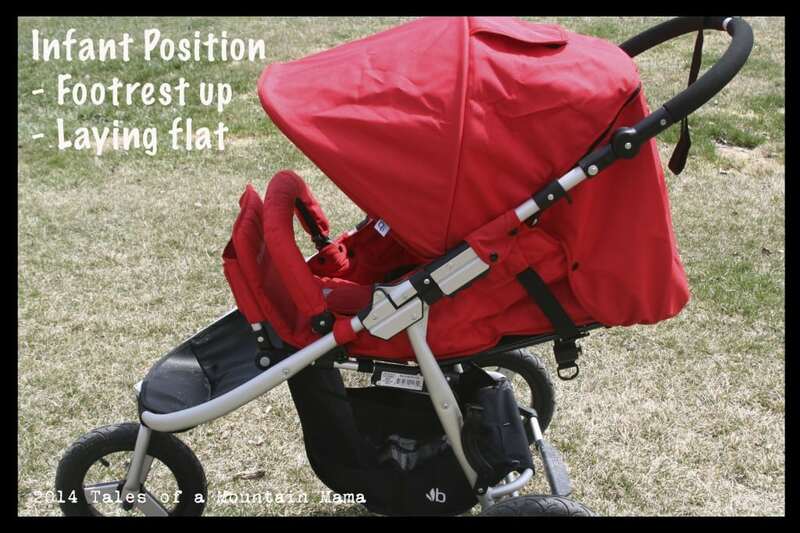 For someone who wants one piece of equipment to serve as both an everyday stroller and a jog stroller, I think it has a lot to offer. I wouldn’t take it out running on gravel roads or overly rough surfaces, but I think I would be fine running with it on a smoother trail system (i.e. finely crushed gravel). 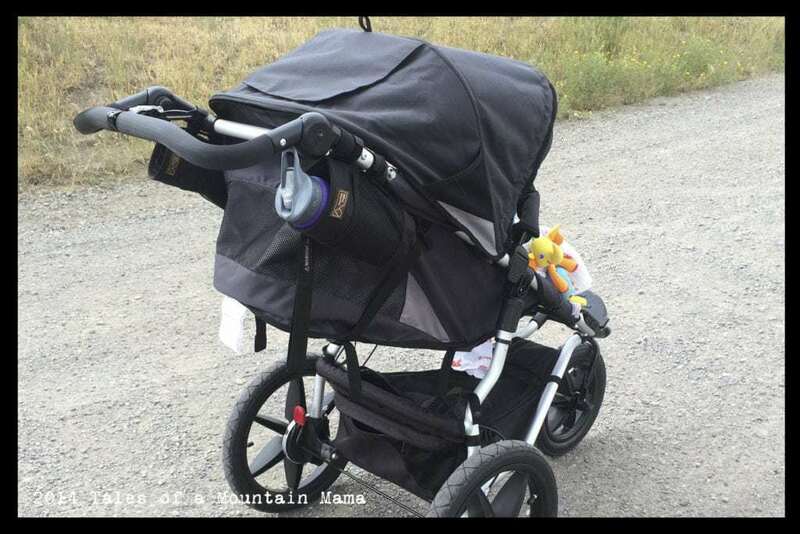 The Indie is a great stroller that fits most families that want to be able to stroll over most terrain, do some running and have it be lightweight and comfortable for their child. It is one of the lightest on the market and fits easily in the back of a car. 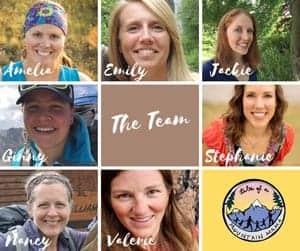 It truly is all-terrain and we have easily strolled through snow conditions, along with dirt paths and paved roads, of course. We love how it is possible to have the child reclining at any angle and that , on the Indie Twin, kids can recline separately. 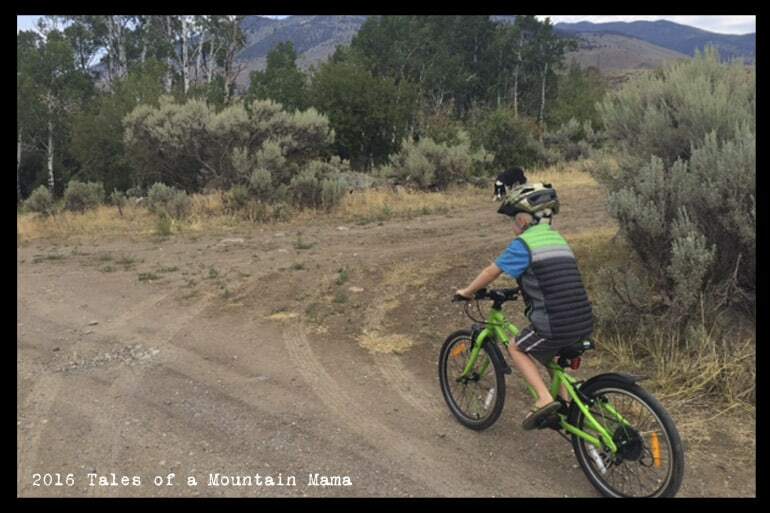 We wish the straps were easier to change heights for different kids (because we are always switching out who is riding.) This is the reason we only gave it 4 stars (though if we could, we’d give it 4.5. Q– I heard there were issues w the canopy being too low for a bigger child. Have you noticed this? 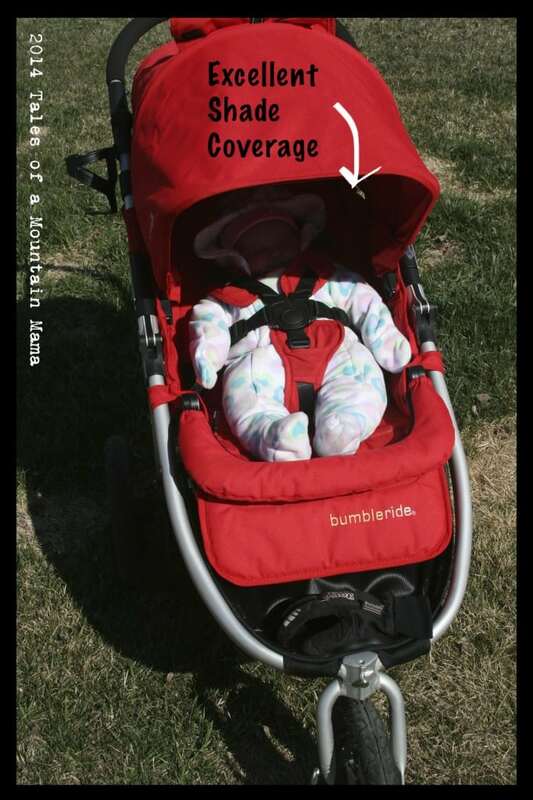 A– I could understand why someone would say that because the coverage is so outstanding….but the canopy is adjustable, so has never been an issue for us with any size of kid. You can set it where you want it. Q– How does this compare to the Thule? 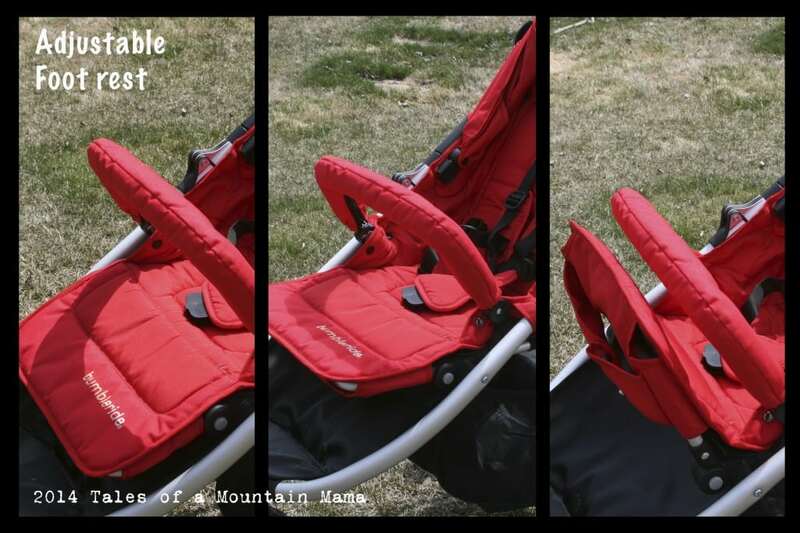 A– The Thule is much more of a runner with less bells and whistles….and the Bumbleride is a better all-around stroller for child comfort and other little perks, like being able to lay flat. The Bumbleride has smaller wheels, though. 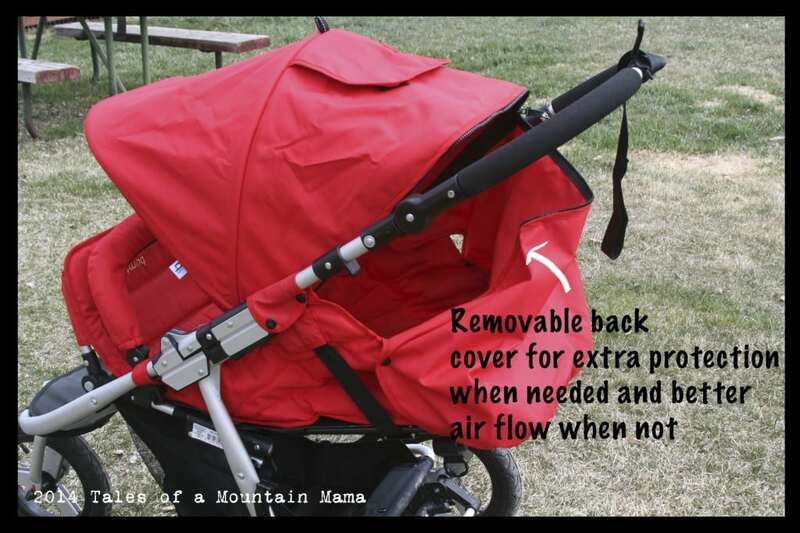 This post will be updated throughout the summer as we continue to use the stroller in varying conditions. We believe that gear needs to be used over and over before we have a “final” review and therefore update our reviews as time goes on and we continue to use them. We will also update it with our use of the Rain Cover later this summer.